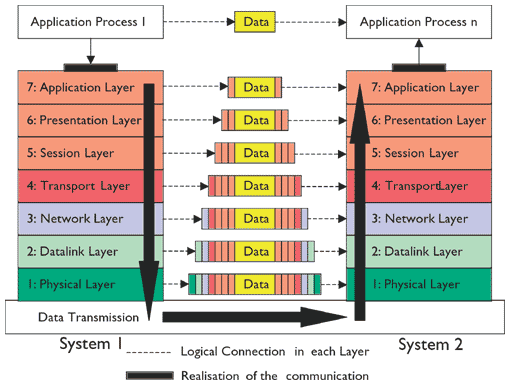 In order to be able to understand this article, the readers should have a basic knowledge of the OSI model. In the absence of it, I encourage to skip all the explanations I provided about the protocols and how those IOmeter tests have been performed -> simply jump to the “Conclusions after processing the IOmeter benchmark results” section. There are multiple ways to test a computer network from performance point of view. I decided to go the hard way and not run just a network benchmark tool who has some predefined tests (eventually some tests who are not matching the regular traffic an enterprise network infrastructure has). Please note I am referring to volume data intensive network operations and not to most intensive from frequency point of view (DNS, PING, SNMP …). Please note I am referring to enterprise network traffic and not to residential broadband, or ISP network traffic (BitTorrent, RTP, Skype, VPN …). In a predominant Microsoft infrastructure we basically deal with HTTP/HTTPS, SMB and MS SQL traffic. Each of these protocols has its own way of working and of course, the way the data is handled (processed) before being passed to the network adapter has its performance implications. However, at the lower layers the data is behaving pretty much in the same way. IOmeter is the unquestionable IOPS benchmark tool. Even if the project wasn’t continued and the last updates are years ago, this tool reached the maturity in terms of functionality. IOmeter will actually allow us to have HTTP/HTTPS, SMB, MS SQL on “steroids”, run it to maximum and in this way find the computer network limits. This will help figure out what does Microsoft mean by low / moderate / high / very high / extremely high Azure network bandwidth. What sequence of steps I performed to write this article? both these VMs have been connected to a Hyper-V Internal Network Virtual Switch. I defined three IOmeter benchmark tests that reproduce as close as possible the HTTP/HTTPS, SMB and MS SQL network traffic. In order to run the benchmark tests, in Microsoft Azure I created five sets of Virtual Machines (one set for each network bandwidth size: low / moderate / high / very high / extremely high). Each set was composed by two VMs: one used to run IOmeter and act as server (sending data) and the other machine used to run Dynamo.exe and act as client (receive data). Each of those two VMs has been configured to be part of the same Azure availability set (to guarantee the VMs are running on separate Azure physical hosts and the network traffic is passing the physical Azure network infrastructure). The results for the network benchmark tests have been collected using Performance Monitor and IOmeter. To have the minimum influence over the results, for the duration of all these tests the Windows Firewall has been deactivated and no additional applications have been executed in parallel. At the end I got all the test numbers together, did the interpretations and got the final conclusions. Ideal for: DNS, LDAP and in general all the protocols who are not data intensive (smaller network packets -> case in which the latency is improving <1mS). Azure Very High vs Azure Extremely High: even if the benchmark results indicated some differences, I am not convinced if an upgrade from Very High to Extremely High will actually make the difference in case network bottlenecks are encountered with Azure Very High network bandwidth. In reality, the performance differences will be too small to be observed. In such case I would advise upgrading to an Azure Very High RDMA capable VM, but keep in mind the second network interface for remote direct memory access (RDMA) does not provide general TCP/IP connectivity (it can be used only by applications who can “talk” over Network Direct interface and MPI protocol). If you showed interest in Azure network performance, for sure you also understand the importance of the storage performance – case in which I recommend you to read the following article “Microsoft Azure IaaS – storage benchmarks, comparison with on-premises“.